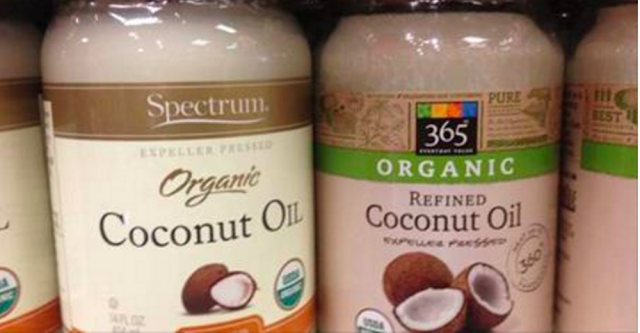 Coconut Oil is no longer a best-kept health secret. More and more trusted individuals are spilling their thoughts about this amazing oil. Many people use it merely for beauty purposes, such as strengthening and growing their hair, remineralizing teeth, removing makeup, lightening age spots, or moisturizing their dry, oily, or acne-covered skin to repair damages and rid blemishes. Others use it in home-made products, such as shampoos, conditioners, soaps for laundry and skin, vapor rubs, and different types of lotions that are occasionally mixed with Essential Oils. However, these are not the only uses Coconut Oil offers, especially if you are consuming it. Over time, your energy levels will increase and your appetite will decrease for weight loss purposes and a more balanced digestive system. Coconut Oil contains a combination of fatty acids. That does not sound slimming, but these specific fatty acids are 90% saturated fats, meaning that, when consumed, they travel straight to the liver and your body responds by turning it into a source of energy. After the oil glides smoothly through your digestive tract, it significantly lowers your apatite. Of course, this factor may not become noticeable until you have been consuming it daily for quite some time, considering every person’s body is different. Stress control is another amazing benefit that most are unaware of. When using the oil on your skin or hair, the natural aroma will sooth away anxiety-like thoughts and help to calm your mind. This makes stress levels drop slightly. Applying a small amount of oil on your finger tips and gently massaging it into your temples helps as well, but the best way to relieve mental fatigue is to massage it into your scalp. This is usually only done to bring blood circulation to the head for faster hair growth and healthier roots, but doing it slowly and gently will rid a hurried mind of its worries. Over time, if this is done regularly, there are also reports of happier emotions and less depression. It is as if your head wants just as much gentle physical attention as the rest of your body and will be sad if you do not comply. Coconut Oil has the ability to kill harmful pathogens, which will reduce infections within the body. It is believed that about 50% of the fat within Coconut Oil is Lauric Acid. Once digested, Coconut Oil also forms a monoglyceride called Monolaurin. Both Lauric Acid and Monolaurin attack and kill bacteria, viruses, and fungi. For example, Coconut Oil strongly prevents, and usually kills, a common yeast infection known as Candida Albicans. Coconut Oil also aids in prevention and reductions of more serious health problems, such aslowering risk of heart disease by managing cholesterol, increasing Ketone Bodies within the blood of epileptic to children and Alzheimer patients to prevent seizures and improve brain functionality. There are studies that suggest regular consumption of Coconut Oil may possibly reverseAlzheimer’s disease. Unfortunately, because many are unaware of Coconut Oil, it is not often used for medicinal purposes.